With the sun shining, the birds chirping, the temperatures rising, and the days getting longer, this is the season to take stock of your landscape. Will you plant something new? Or will you decide to transplant a tree, shrub, or perennial that already exists in your garden? The latter may seem daunting, but following a series of simple steps can help you ensure that your transplanted selection not only survives the spring, but thrives for many seasons to come. 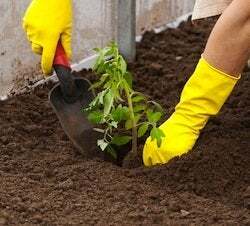 Enter Bob Vila’s Great Big Garden Give-Away with True Temper, and you could be the next winner of a garden tools set worth $250, plus $250 CASH! 1. Pick a spot! Choose your new location with care, taking into account the plant’s sun, soil, and space needs. 2. Use the right tools. The size of your plant will determine whether you should use a round-point shovel or a hand tool, such as the True Temper Ergo Gel Grip Hand Transplanter. 3. Prep the existing plant. 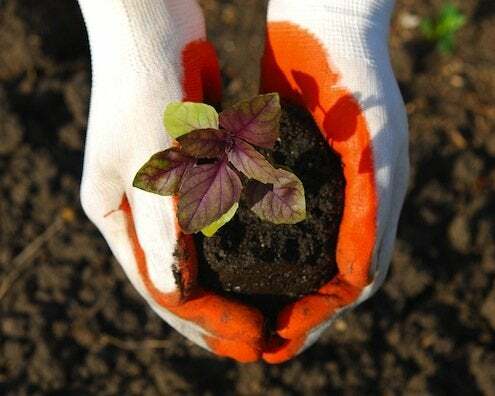 Dig around the plant you’d like to transplant; keep a wide berth so as not to disturb the main root system. 4. Going under. After digging around the plant, you’ll be able to loosen the soil enough to dig underneath. 5. Say goodbye! Remove the plant, with the roots; place it on a tarp. Replant as soon as possible to encourage the plant’s survival. In the interim, wrap the roots with damp burlap to prevent moisture loss. 6. Ready the new home. Dig a new hole that is twice as wide as, but equal in depth to, the root system. 7. Moving in! When placing the plant into this new hole, make sure that it sits level to the ground. 8. Finishing touches. Infill with soil from the original location of the plant. Water as you add soil, coaxing it deep into the hole. 9. Wrap it up. Add mulch on all sides of the newly transplanted plant, but do not cover the few inches immediately surrounding its base. 10. A little TLC. Your plant will be a little sensitive in its new home, so water it often, especially right after it has been moved. And voila! A new home for your favorite flora. Now that wasn’t so bad, was it? For more gardening advice, visit True Temper on Facebook for daily tips and tricks. And don’t forget: ENTER NOW to win in Bob Vila’s Great Big Garden Give-Away from True Temper!